Where should I go to find current Nissan incentives and vehicle specials? To find all the currently incentives and offers from Nissan, check our Nissan offers and incentives page. We also have separate pages for new vehicle specials and used vehicle specials, so please check those pages also. If you have poor credit or no credit, please fill out our secure online credit application. 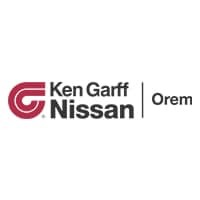 The finance department at Ken Garff Nissan of Orem has a lot of experience with helping drivers with all sorts of credit situations get the auto loans they need, and they will work their best to help you too! What should I do if I can’t find a vehicle that fits my needs? With so many choices on the market, we understand how hard it can be to find the right vehicle that checks all the boxes for you. We can help you if you fill out the vehicle finder service form. We will then be able to reach out to you when we receive a vehicle that fits your ideal vehicle profile. I’ve found a vehicle that I am interested in. What should I do next? That’s great to hear! We suggest that you schedule a test drive by calling our sales team or scheduling it online. We’re located in Orem, so we serve customers from all over Utah and Salt Lake counties including Lehi, Provo, Spanish Fork, American Fork, South Jordan, and Draper!